Februar | 2009 | way above the level. Tonight, Higher Level’s gonna be on air live at Bad Kreuznachs Local Radio-Station called „Antenne Bad Kreuznach“ from 8 to 9 p.m. There will be a Interview with Schiffer and a few short juggling-segments from us. If your’re around Bad Kreuznach you can hear it on 88.3, and all you other guys can check the Live-Stream. 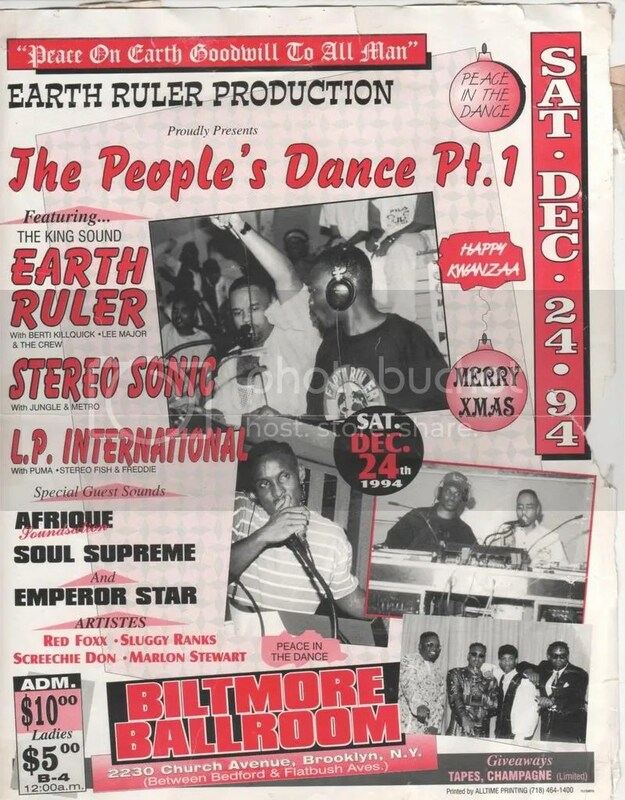 No, I’m not talking bout one of my childhoods favorite tv series, but about our next Jamaican Lounge Dance at 6null3 in Saarbrücken with our friends Stingray 45 Disco! This party gonna be pure fire. Make sure you show up for it. the Blog is called O-Diggity Music and it seems to get a very interesting thing for me. Maybe for you too. Totally forgot about this, but end of this month 3 Sounds (Sting like a Bee, Soundvibration and Steady Rock) fight for the Uptown Skankin‘ Soundclash Title at KuCaf in Mainz. Unfortunatly I couldn’t make it, but nevertheless better you show up and witness the killing. Host of the night will be no other than Sultan from Netherland’s Herbalize-It Sound. 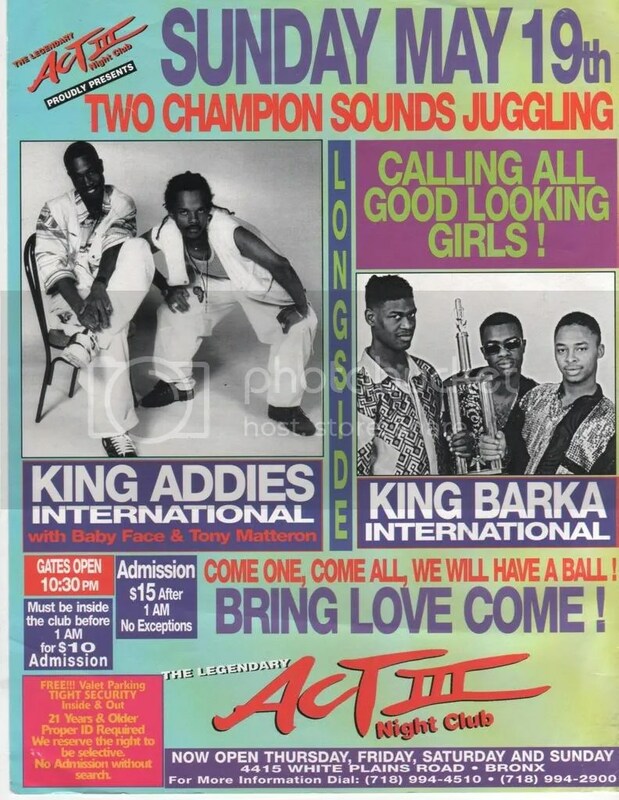 As you may know from this post, I really love those old Juggling- and Soundclash-Posters from back in the days. And lucky me, some guys have uploaded a lot more of these at DHR. 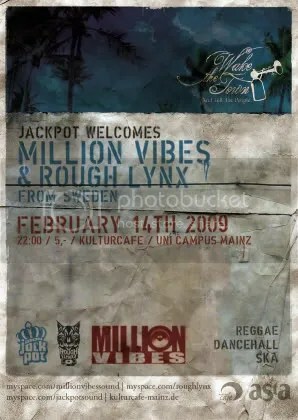 Due to the reason our dance with the swedish sounds Million Vibes and Rough Lynx at the 6null3 got unfortunatly cancelled, we want to point you out to Jackpots monthly regular „Wake the town and tell the people“ at KuCaf in Mainz where they have both of them as guests this saturday, 14th of February. For those of you who have a vehicel or a BahnCard, this dance is worth the trip to Mainz! 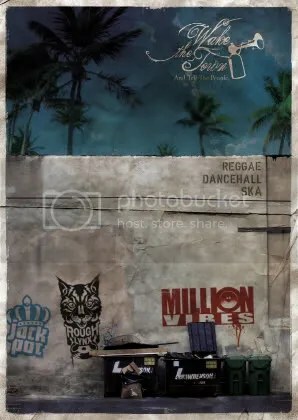 And to give you a little clue about what can happen that night, here’s a small dubplatemix from Million Vibes and the lastest Mix-CD of Rough Lynx Sound.